What is Ankylosing spondylits ? "Spondyloarthropathies are a group of diseases which affect the vertebral column and Ankylosing spondylitis is one among them. It is one of the rheumatic disease, which is a chronic, inflammatory that causes arthritis of the spine and sacroiliac joint - the joint at the base of the spine where the spinal column joins the pelvis. "Ankylosis" means the fusion of verterae to each other. The vertebrae fuse together because of thechronic inflammation and irritation of the spinal joints. Ankylosis is a debilitating condition that can cause decreased range of movement in the spine and loss of spinal mobility and function, thereby, severely impact a person's quality of life. Ankylosis can spread to other joints as well since Ankylosing spondylitis is a systemic rheumatic disease, it can lead to inflammation in other parts of the body such as the joints of the hips, knees, or shoulders. This type of spondylitis may also affect other organs such as the eyes, heart, lungs, and kidneys. The explanation of Ankylosing spondylitis may seem weird to modern world people but Ayurveda is an ancient healing science utilizing herbs for centuries. According to Ayurveda, Rheumatic pains are due to formation of toxins within the intestines. These toxins are known as "aama" in Ayurvedic terminology. So the concept of treating Ankylosing spondylitis is digesting the " aama" by giving herbs like Turmeric (Curcumin), Ginger, etc. Controlling the vata is also very important, after clearing the "Aama". Vata- the kinetic energy of the body is regulated by regular massage with Ayurvedic oils, internal consumption of medicated Cow's ghee with anti-inflammatory herbal tablets like Sinhnaad Guggul, Swarn Guggul (Guggul with Gold), Kaishore Guggul. Herbal products like Aam vatantak Churna can be used for digestion of "aama" and herbal remedies like Guggul are useful in managing pain and inflammation. Punarnava mandoor tablets are useful in reducing inflammatory edema around the joints sometimes and also helps in rebuilding the strength.There are sometimes very painful condition in Ankylosing spondylitis, that pain and inflammation needs to be tackled quickly. There are very common herbs for painful joint which work insantly. The herbs are very common like Dry Ginger, Turmeric (curcumin), Fenugreek, Ashwagandha, Sallaki (Boswellia), Guggul, and Giloy (Tinospora). The extracts of these herbs are more effective in reducing the pain and inflammation of all types of arthritis and joint pains. Causes of Ankylosing Spondylitis, according to modern medicine- The exact cause of Ankylosing Spondylitis is not known however, research has demonstrated that this tends to run in families. Although there is evidence for a possible genetic predisposition to this disease is that a specific Human Leukocyte Antigen (HLA) tissue type called HLA-B27 occurs in about 90% of individuals with Ankylosing Spondylitis. There are a variety of drugs are available to control symptoms of AS including pain, stiffness, and inflammation. Exercise therapy is also considered a very important component in the management of patients with Ankylosis. AamVaat Antak Churna is a blend of unique herbs for ankylosing spondylitis and other auto-immune disorders like Rheumatism. It is described in Ayurveda as best anti-inflammatory, detoxifying herbs. Aama is considered as root cause of Rheumatoid arthriits in Ayurveda.Various herbs in this herbal powder naturally clear away the toxins i.e. Aama. These rare herbs are nature's answer to moderate to severe forms of inflammation, swelling and pain. This herbal powder contains Ashwagandha, Fenugreeki, Suranjan, Tinospora, Gorakhmundi and Sonth. These herbs act together in a synergistic manner and control acute and chronic pain in joints. Herbs in Aam-Vaat-Antak Churna : AamVaat Antak Churna is purely a herbal formulation without any chemicals added into it. 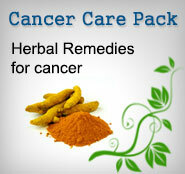 It contains very effective herbs for Rheumatoid arhtirits and joint pains. The ingredients are frequently used in Ayurvedic system of medicine since 5,000 B.C.It is a very effective herbal remedy for Rheumatoid arthritis and every other form or arthritis without any side effects. Fenugreek has multiple uses as it not only causes remission in inflammatory and painful joint conditions but also a useful method to control pain due to 'Vata'. Regular use of leaves of this plant also controls blood sugar levels very effectively. It is an effective alternative treatment for ankylosing spondylitis. Ayurveda utilizes this herb for painful joints swollen due to imbalance in uric acid metabolism. This herb is a source of drug 'Colchicine' used in modern medicine for decreasing uric acid production. This makes it an effective herbal remedy for ankylosing spondylitis. It is a very effective herb for regularizing the uric acid metabolism. This plant can also help to cure weak vital power, gaseous problems, enlargement of spleen as well as painful joints. Gorakhmundi is an effective herbal cure for ankylosing spondylitis. This is a twine that wraps around many trees. This miraculous herb is useful in many auto-immune disorders like Rheumatoid Arthritis. It has immunomodulatory effect and improves our immune system and immune response to antigens. It improves body's defense mechanisms. It gives new life to dying brain cells and rejuvenates the whole body. It is best anti-cancer, immunomodulator and memory enhancing herb.Since Ankylosing spondylitis is an auto-immune disorder, this makes Giloy as best herbal remedy for ankylosing spondylitis. Commonly known as 'Dry Ginger' is a very useful 'ama' removing or detoxifying herb. It is a potent pain killer as well as anti-inflammatory herb. Therefore it's an effective alternative treatment for Ankylosing spondylitis. Ankylsoing spondylitis is more prevalent among men than in women. Most of the patients are generally young men in the age group of 20 to 35 years and 60 to 70 % patients are generally men. There are many herbal remedies and natural treatment for ankylosing spondylitis which are described in Ayurveda.. These herbs are useful in all types of other arthritis like osteoarthritis, rheumatoid arthritis and other forms of inflammatory joint conditions. Some of them reduce the pain, some reduce inflammation while herbs like Giloy (Tinospora and Ashwagandha ) are helpful in many other autoimmune disorders as well. Many are useful in auto-immune disorders as well. Vitex negundo is described in Ayurveda as one of the most potent natural anti-arthritic herbs. It is very effective in controlling pain and inflammation particularly in arthritis and sciatica patients. Boswellia serrata is a very popular natural anti-inflammatory herb used by Ayurveda physicians all over the world. It is commonly known in India as 'Salai Guggul'. The resin obtained from the tree is purified and then used for pain and inflammation.It relieves arthritis pain naturally without causing any side effects. Commiphora mukul is a known anti-inflammatory agent used by Ayurveda physicians worldwide. The analgesic and anti-inflammatory action is almost immediate. Guggul is also used in weight loss formulas and is effective in reducing weight, thus helping osteoarthritis patients directly and indirectly. It also reduces blood cholesterol levels. It is commonly known as dry ginger. Dry Ginger is another useful anti-inflammatory herb. 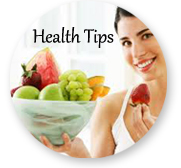 It also improves appetite and good for digestive and respiratory system. Dry ginger remarkably reduce markers of inflammation in the blood and is a very potent analgesic. Ashwagandha is popularly known as Indian ginseng in the west. It has known anti-inflammatory, anti-cancer and anti-stress activities. The plant steroids exert anti-inflammatory action where as another active ingredient of this herb root is Withaferin, Which act as a potent stress buster. Arthritis Support is a blend of unique herbs described in Ayurveda as best anti-inflammatory herbs. These rare herbs are nature's answer to moderate to severe forms of inflammation, swelling and pain. Arthritis Support contains extracts of Nirgundi, Shallaki, Guggul, Ginger, Giloy and Ashwagandha. These herbs act together in a synergistic manner and control acute and chronic inflammatory reactions. Arthritis Support is purely a herbal formulation without any chemicals added into it. The ingredients are frequently used in Ayurvedic system of medicine since 5,000 B.C. without any side effects. There are so many other useful herbal remedies for Ankylosing Spondylitis which give excellent results in joint pains and inflammation. These herbal remedies are also effective in many other forms of arthritis. Commiphora mukul is a very unique and powerful anti-inflammatory herb and is very effective in all types of arthritis. Some of the tablets containing this herb are mentioned below. These herbal tablets are purely classical herbal remedies for arthritis and are used in Ayurveda since ages. 1. Tablets Kaishore Guggul - The main ingredient of these tablets is the herb Commiphora mukul. These are pure herbal tablets and are can be used along with Arthritis Support in cases of severe acute and chronic pain in Ankylosing spondylitis and other forms of joint pains. Kaishore Guggul can be used with AamVaatantak Churna (Herbal powder for Rheumatoid arthritis) even if the HLA B-27 is negative and Ankylsoing spondylitis is diagnosed. These can be consumed along with arthritis support and Kumari Saar. Rheumatoid arthritis also responds very well to this combination of these 3 herbal formulations. 2. Tablet Yograj Guggul - These are herbal tablets useful in chronic inflammation of joints. These can be used for long term arthriits herbal remedy in cases of rheumatoid arthritis and ankylosing spondylitis. In cases of Rheumatoid arthritis Yograj Guggul should be combined with arthritis support and Aamvatantak Churna.Curcumin (Turmeric- curcuma longa) is a very useful herb for ankylosing spondylitis. 3.Tablet Lakshadi Guggul- These are herbal tablets contain guggul and are very useful in cases of fractured bones, strains and sprains in muscles, tendons. These tablets hasten the healing in case of muscle rupture, ligament sprain. It is also very useful natural remedy for osteoarthrits and other arthropathies.